Firecracker Penstemon is a very showy perennial wildflower native to the Intermountain West. It has an upright growth habit, reaching heights of one to four feet. 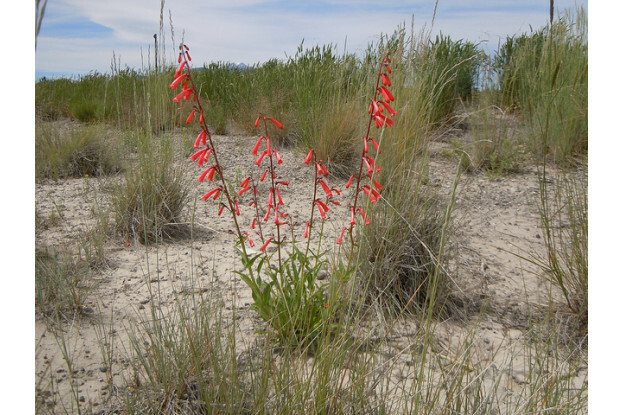 It produces tubular flowers of scarlet and red and will bloom from May to June. Firecracker Penstemon is very drought tolerant and prefers well-drained soils in full sun. It is one of the showiest of all Penstemons and makes a great addition to rock gardens and other dry, low-water use areas.